Tasmania is known as the “Apple Isle” and the majority of apples and other fruit are grown in this southern part of Hobart in the Huon Valley. Unsurprisingly, the area is picturesque and has easy access to the wilderness rainforest. 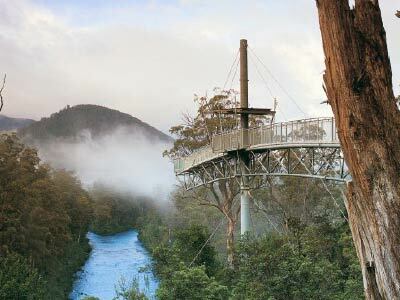 Take a peaceful nature walk with breath-taking views of the forest canopy at Tahune Airwalk which sits on the edge of 1.6 million hectares of World Heritage Listed forest.